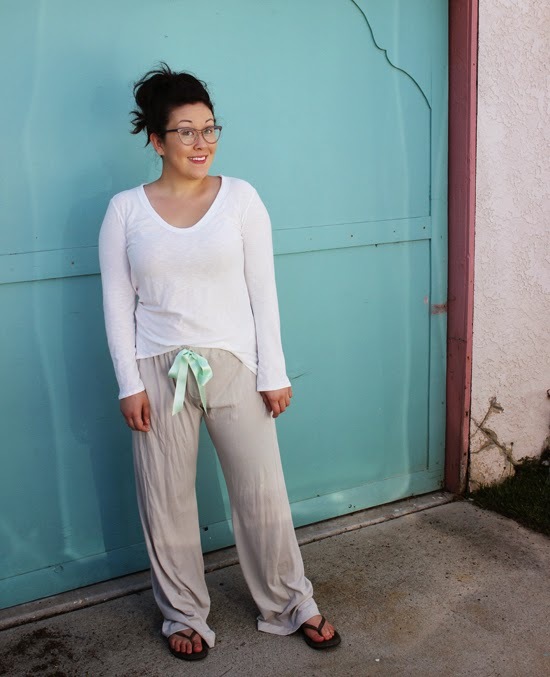 A Briar top, Torfino pants, and a blog makeover. Why is it that whenever you look your grossest you run into someone you know? I have some pretty heinous gear that I sometimes wear to bed (pink leopard pajama pants with small holes in the knee, old band t-shirts, fleece pajama pants with kittens on them, etc.) and sometimes I have to run some quick errands and don't feel like changing into something more respectable. Bottom line is: I'm lazy. For example, when I wake up I will take my dog, Frankie, on a walk in whatever clothing I slept in. I will look like a slob and probably see a frenemy. Or a client. Or a new friend that I don't know all that well and don't want to know that I dress sloppy in my free time. Styled how I would wear it "in real life." Messy hair, wrinkled fabric, no makeup besides a tinted chap stick, and sandals. The Torfino pants by Sewaholic are changing up my game! When Tasia announced an online sale a while back I swooped in on the pants pattern that I had been eyeing for a bit and decided to make them up in a jersey that I got from The Fabric Store in Los Angeles. At first I wanted black pants, but I figured that if I'm lounging at home black pants are the equivalent to a cat hair magnet, so cream would be a better bet. Guys, jersey pants are sooooo comfy! The fit isn't perfect and it needs a bigger hem, but this is technically a wearable muslin, so who cares? When I bought the ribbon I was a total dumb dumb and didn't get enough to go around my waist. Instead I used the small amount I had and stuck it through the button holes and tied a bow. It would probably look better if the ribbon went completely through the pants instead of through the buttonholes, but I was working with what I had. On the plus side it will be easy to switch up ribbons if I ever get bored! The pattern itself was great, especially for someone like me that has a very limited knowledge of sewing pants. 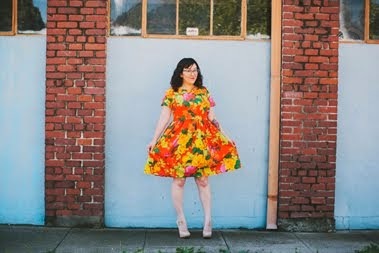 Last year I sewed my first pair from a 1940s reproduction pattern and I never wear them. My second try was with the Cake patterns leggings and those didn't work out very well. This is my third time experimenting with pants and I think it would be a really good "first pants pattern" to help you wrap your mind around how the pieces get sewn together. The top is my seventh or eighth (I think?) Briar shirt, so I don't have anything exciting to say about it other than "I love it." I have been wearing it with jeans, but paired it with the pajama pants for the photos. Everyone needs a long sleeve white t-shirt, right? It was the first garment that I sewed with my new serger and I love how clean the sewing guts look. One of these days I will do a proper post about how awesome it is to have a serger! 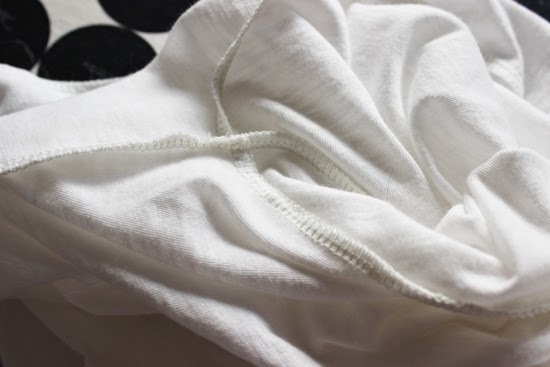 So to wrap up my post: thanks to Tasia for creating a pajama pattern that I can use to be casual, comfortable, and cute when I have to run out last minute. Thanks to Megan Nielsen for one of my favorite t-shirt patterns. Thanks to Kyle for my awesome website! Thanks to you for reading this long post. 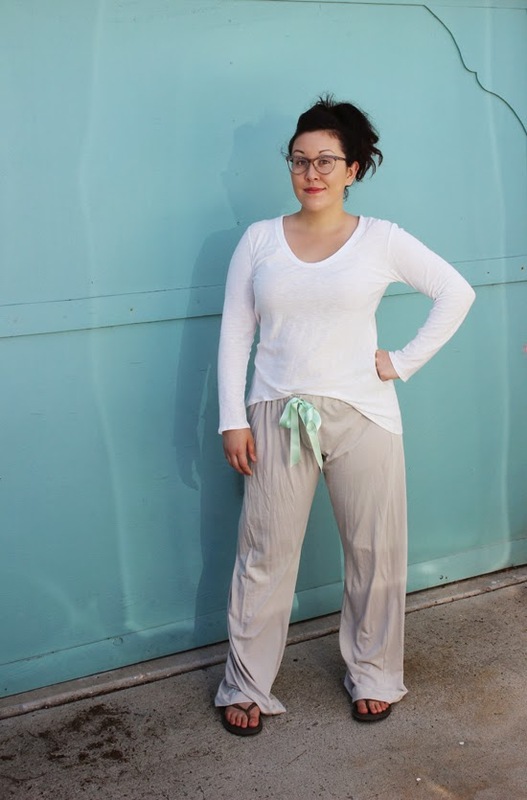 Love the blog makeover and LURVE the knit pjs! You don't look frumpy to me! Great way to look put together without trying. What a great outfit! I always look like a slob when I walk the dogs in the morning... I should make some nice loungewear! May I suggest the Megan Nielsen Virginia leggings pattern? It's easy and fast with options for low or high rises and petite or standard lengths. I had great luck with it! I've also used the McCall's leggings pattern for a friend, which needed some adjusting but worked out in the end. Knit pajamas are the best! Yours look great! Loving the new website too. Those pants look just FAB! Loving the blog design too! What a pretty new blog layout! It's just perfect! Love your new lounge clothes. Your new blog design is A-MA-ZING!!! :) Loving those comfy pants too! Heehee you look so snuggly! Make some! I practically live in my new pants. These are so cute! 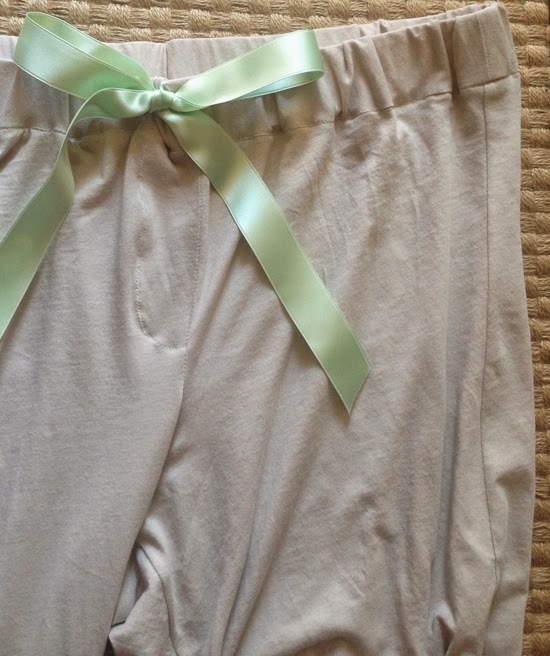 After I finally make a Moneta I think my next knit project is going to be some pj pants.